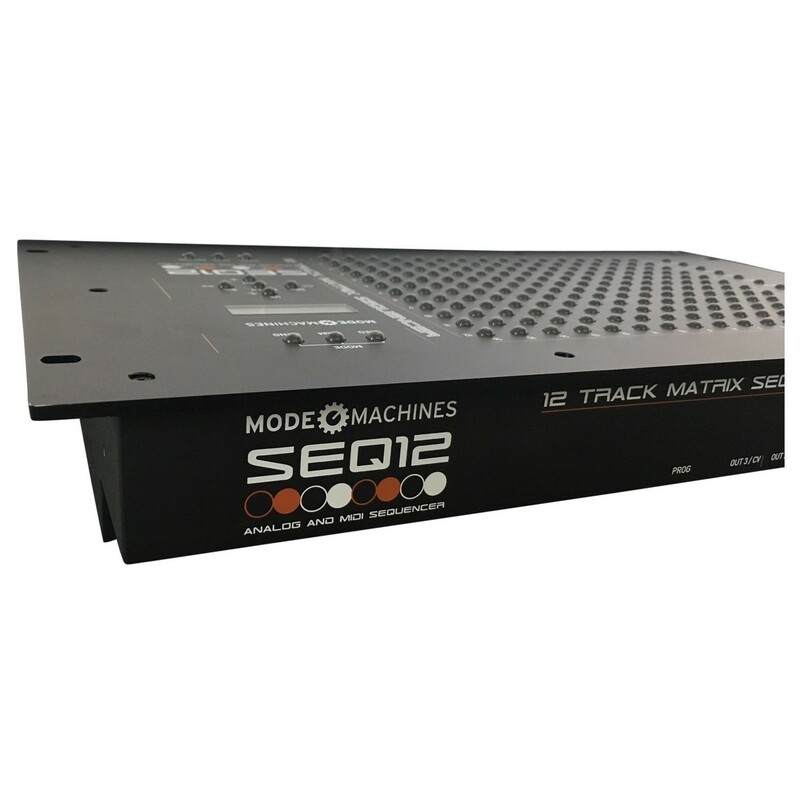 The Mode Machines SEQ12 Matrix Sequencer is a rack-mountable hardware sequencer, giving you access to 12 tracks and three track types. 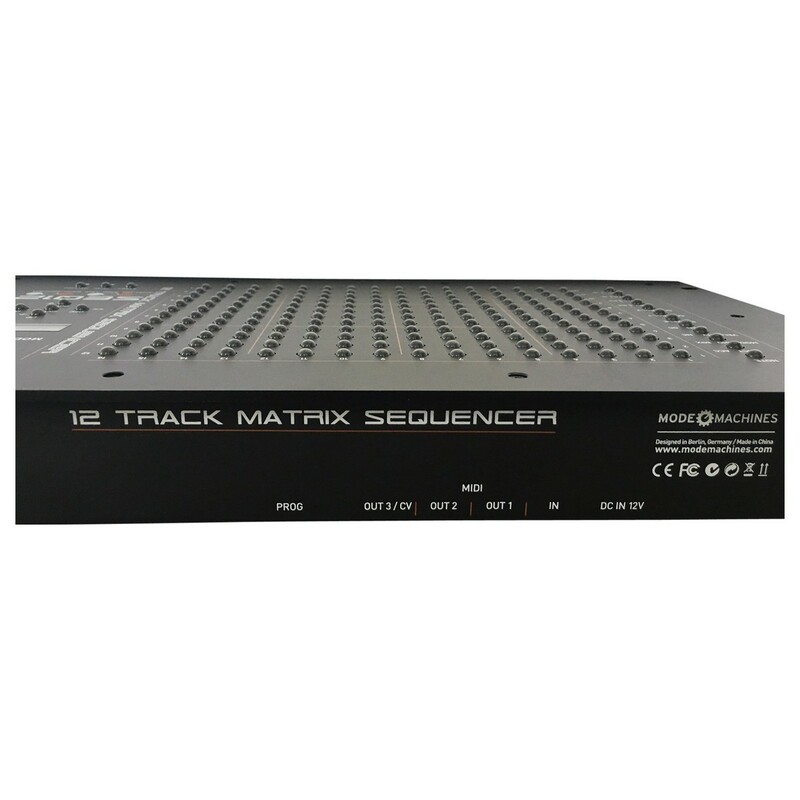 The SEW12 Matrix Sequencer boasts 16 patterns per tracks, ideal for creating programmable sequences that can be played freely. Each track also includes 2 or 3 controller tracks, as well as MIDI output and adjustable MIDI channels. 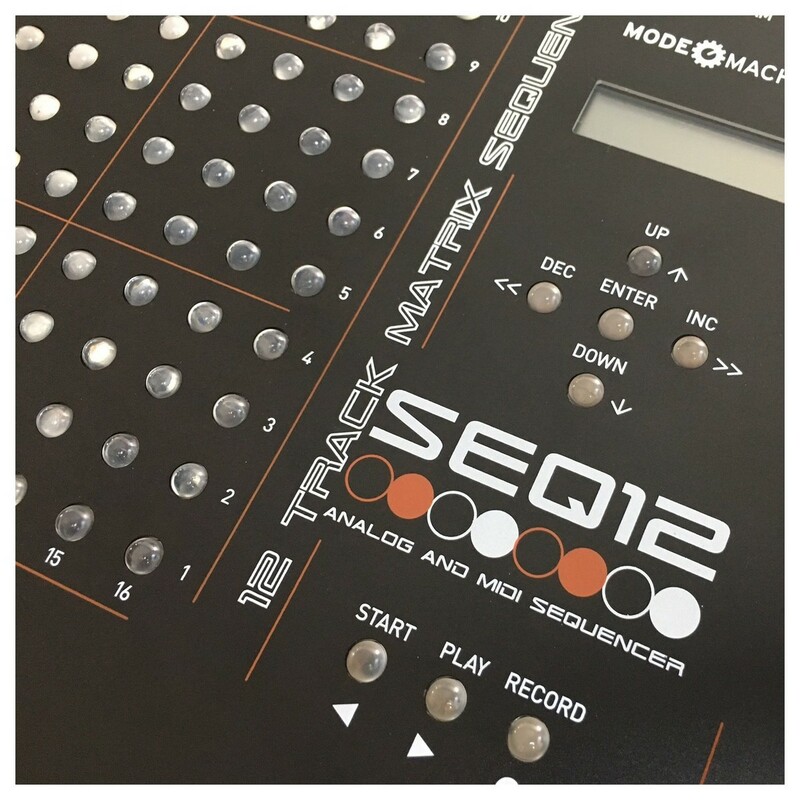 The Mode Machines SEQ12 features three modes: Jam, Sequence and Song. 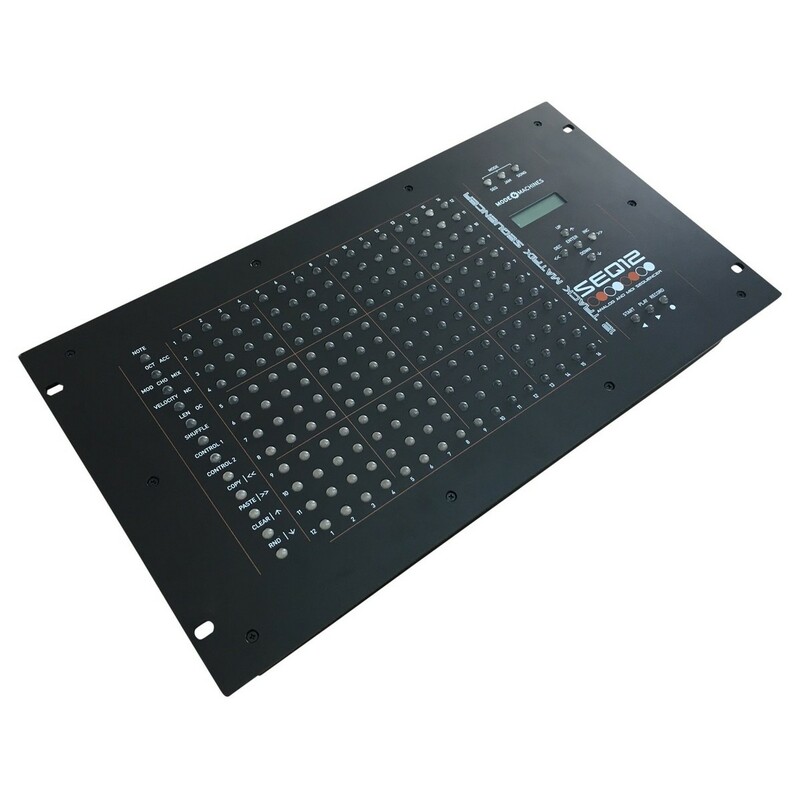 Each mode caters to different playing style, for example the sequence mode provide MIDI data displays in dedicated view on the LED button matrix. 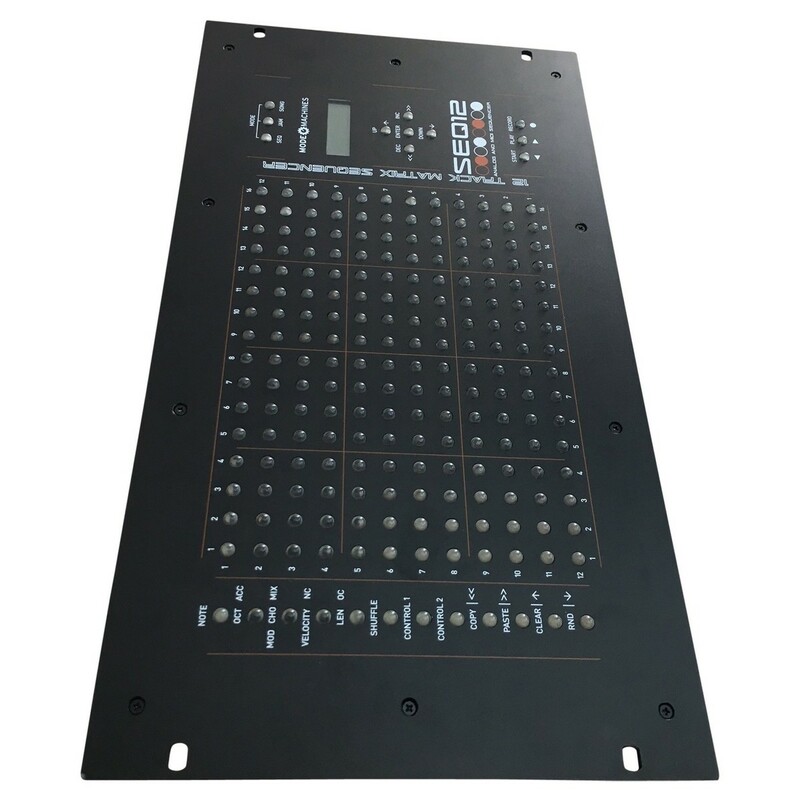 The versatile design makes it ideal for both stage and studio applications, with its wide range of controls and ergonomic layout. Boasting 12 tracks of MIDI, the SEQ12 sets a precedent in the sequencing world. Each of the 12 tracks features 16 patterns and the ability to choose between three track types (drum, chord, monophone). Each pattern can be played freely in programmable sequences, allowing you to make changes and switch between patterns on the fly. Each pattern also includes its own shuffle pattern as well as 2 to 3 controller tracks and additional ratchet modes. The unit can record MIDI notes, as well as controlled values via the MIDI input, the data can then be further edited using the LED buttons. 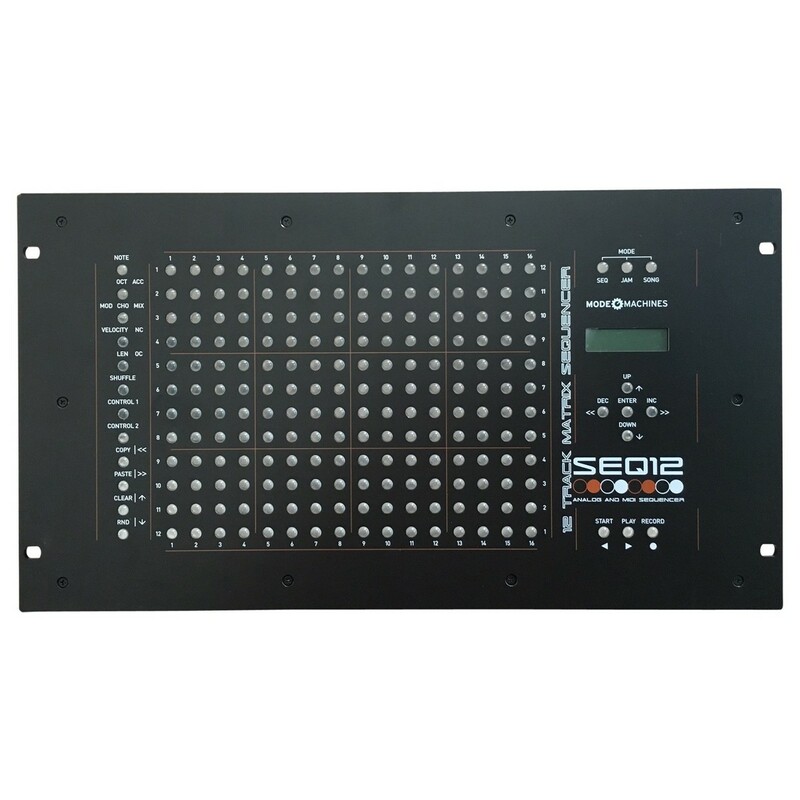 For memory, the sequencer includes 32 memory slots, providing stable and highly accurate timing. The flexible interface and versatile design allows you to create everything from simple melodic patterns to complex, layered sequences. 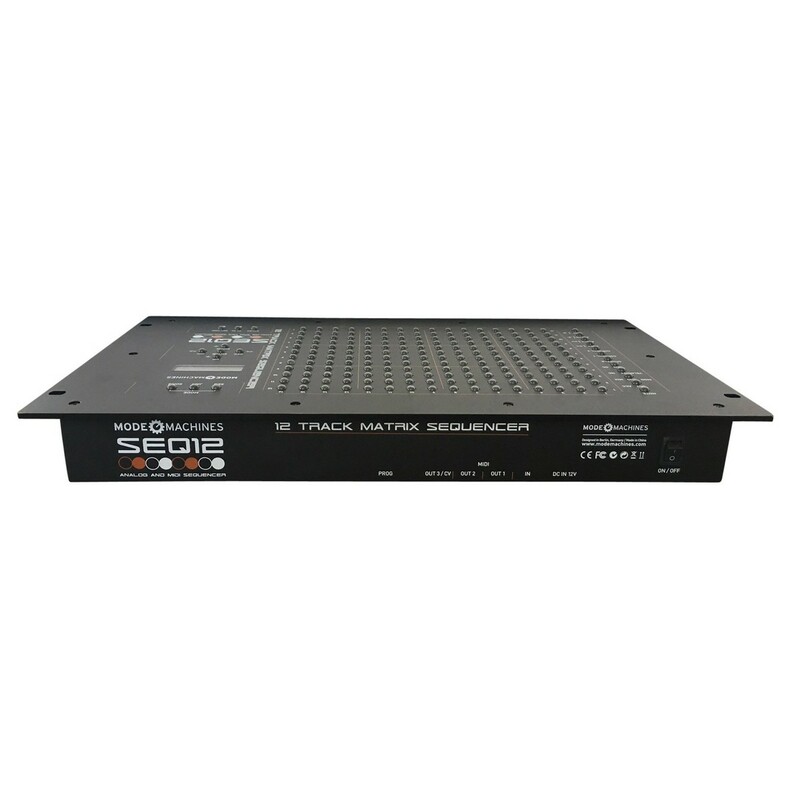 Because of this, the SEQ12 is highly suited to live performances but is also great as a studio sequencer. The SEQ12 features three modes: Song, Jam and Sequence. The Sequence mode displays the MIDI data in dedicated views via the LED button matrix. This allows you to create sequences on the fly and can be highly useful for live performances. Each sequence features its own adjustable shuffle pattern and clock divider, allowing you to test out different grooves and cadences. The nonlinear setting within sequence mode can be used with various multiple trigger patterns and clock dividers per step. The sequence mode also provides automatic smoothing of controlled values (can be turned on/off) for added flexibility. It also provides the freedom to chose your MIDI channel and exit per track. Within Jam Mode, each track delivers 16 sequences, which can be switched freely on the fly. This is great for getting down ideas and experimenting with different rhythms, patterns and sequences. Song mode is great for creating finished pieces and studio work. In song mode each track can play the sequences from an order chain. This allows you to split your sequences into 8 parts (verse, chorus, bridge) with 12 tracks for each. 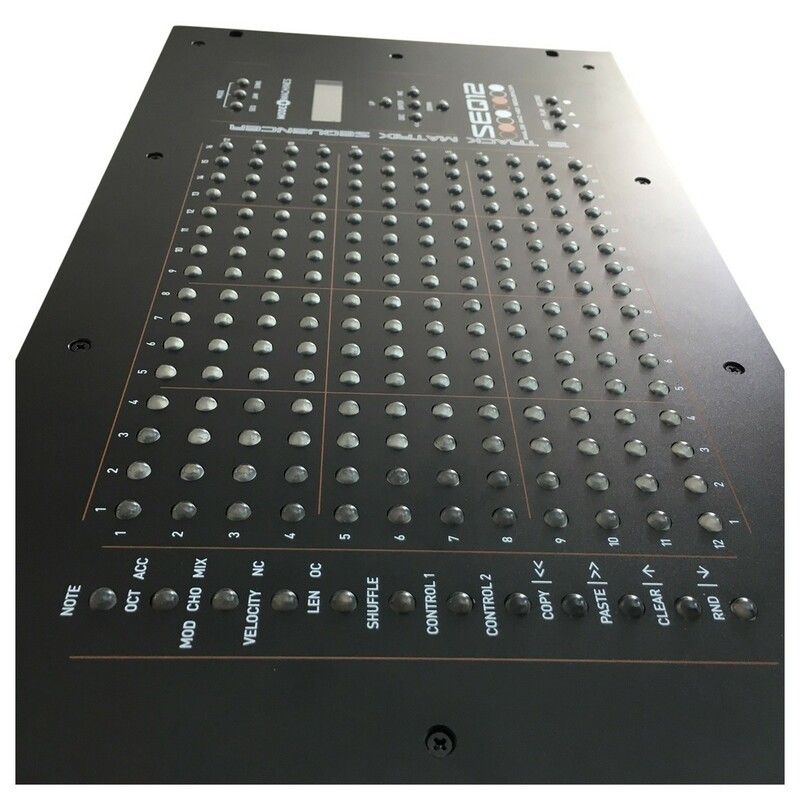 The robust, heavy-duty design makes the SEQ12 ideal for stage and studio work. The all-metal construction features a matrix-style design of LED buttons, that light up when activated. The ergonomic layout spreads the tracks and patterns out into grids, which can be highly useful when dealing with larger sets of sequences. The right of the unit features an LED display with a control pad and mode selection buttons. The modes and the views of the sequencer can be switched on their, independent of the play mode. The unit itself is rack-mountable measuring at 6HE and 19-inches in size. For more information on the Mode Machines SEQ12, please refer to the PDF above.